Feeling confident in your Italian? Take the challenge at the advanced level. Welcome to Advanced Italian: Volume 2. The advanced series dives straight into dialogue about anything and everything Italian. This series is focused on exposing you to native speaking style. 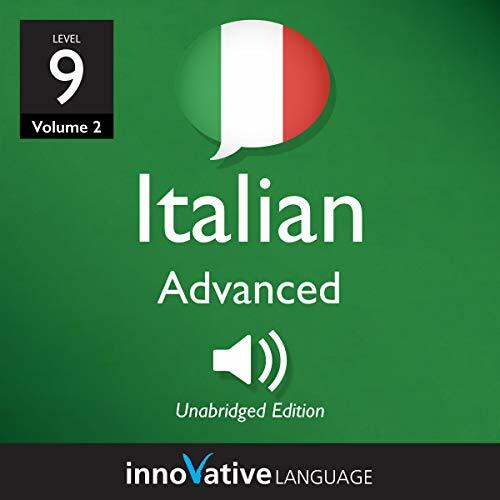 Start speaking Italian in minutes and learn key vocabulary, phrases, and grammar in just minutes more with Advanced Italian. This isn't stale textbook material - it's fun, effective, and practical! You learn advanced Italian conversation that you can use immediately! Interactive. Effective. And fun! Discover or rediscover how fun learning a language can be with the future of language learning. Buy this now and start speaking Italian instantly!